Check availability, prices and book online here. 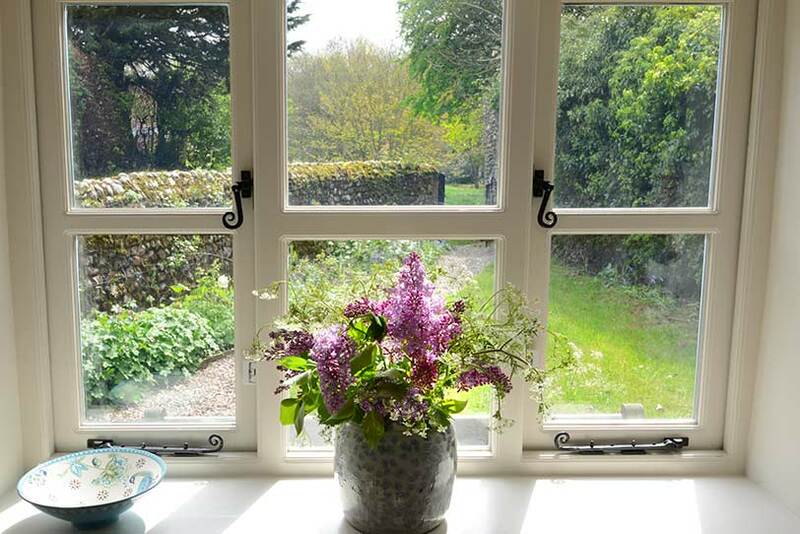 "We fell in love with Hill Cottage the first time we saw it and have been several times, including our 'mini honeymoon'. With its cosy log fire, beautiful finish and peace and quiet it really is a little sanctuary. However, the best part is really its location - tucked away in a quiet corner with private parking but a 2 minute walk to the centre of Holt"
"I cannot tell you what a wonderfully relaxing time we had in your beautiful, well equipped and extremely comfortable cottage. It is so rare for my husband and I to get good quality 'us' time but the last few days were simply perfect." "This is a great cosy and well equipped cottage. We loved the wood burner, comfortable living room and spacious bedroom tastefully decorated, as was the bathroom with a fabulous free standing bath. The situation is idyllic, quietly located but only a short walk to the centre of Holt and within easy access to the coast." "From the moment you walk through the garden gate it is as though this magical little place puts its' arms around you in welcome. It is a Sanctuary, a haven of peace and tranquillity that simply provides all that is needed for a truly restorative break."